The day before the 90th Academy Awards, a friend from the academia called me with a suggestion. He was adamant. “You know that the Churchill Movie will win some awards and you should have an article ready to publish before the announcement,” he admonished. I agreed but failed to produce it in time. Strangely enough, I wrote a lot in the 24 hours between his call and seeing Gary Oldman accept an Oscar for portraying Winston Churchill but I could not get myself to comply with his request. A cop out no doubt, but I was frankly too exhausted to once again make the case that far-greater thinkers and writers (notably, Madhusree Mukerjee, Shashi Tharoor, and Mike Davis) have been making for years- that Churchill was a mass-murderer. I’ll add to this that the death toll of Churchillian racism and imperialism exceeds that of Hitlerism and Stalinism and that the British Empire is, second only to Mother Nature, certainly history’s greatest criminal. Nowhere was that crime more extreme in its death toll than India. No matter the facts, “Churchillian” is a metonym for Statesmanship, Churchill the cynosure of all eyes seeking freedom’s light. Bookstores have entire sections devoted to him while the colonies that suffered under the enormous weight of his hatred might merit a book or two. Quotes from him adorn presentation materials from NGOs and Governments, even Fortune 500 power-points. A curious transposition indeed for a man whose own close associates were shocked at his hatred, racism, blood-lust. One needn’t have too vivid an imagination to understand what that parallel implies. The Churchill industry continues unabated, producing hagiographies, busts, and fodder for brochures. That Hollywood jumped into the fray is hardly surprising. As with Mukerjee, I cannot get myself to see The Darkest Hour. Perhaps it’s a way of paying respect to the dead. Well said and so important. Excellent article. It is useful to put expertly-determined numbers to man-made catastrophes. 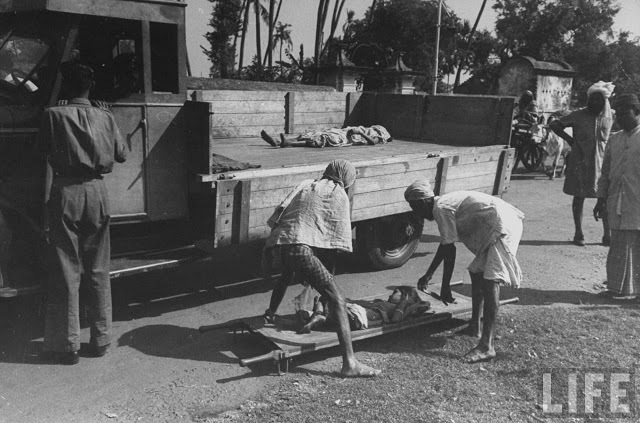 According to Dr Sanjoy Bhattacharya (Wellcome Trust Centre for The History Of Medicine, University College London), the death toll in the Bengal Famine totalled 6-7 million in Bengal and the adjoining provinces of Bihar, Assam and Orissa in 1942-1945. The British under mass murderer Churchill deliberately imposed this atrocity on Indians for strategic reasons and UK lackey (now US lackey) Australia was complicit by withholding food for starving India from its huge war-time grain stores. As explained by Bengali Economics Nobel Laureate Professor Amartya Sen, in essence for a variety of reasons the price of the staple rice rose up to 4-fold in Bengal and neighbouring provinces, and those who could not produce or buy rice simply starved under the merciless and genocidally racist British. Indian MP Shashi Tharoor reports “a life expectancy of 27” for Indians under the British in 1947 that underscores an horrendous Avoidable Mortality Holocaust in which 1,800 million Indians died avoidable deaths (untimely deaths, premature deaths) from imposed deprivation under a 2-century British Raj that made India a 2-century British Auschwitz controlled by well-fed British and native Indian soldiers (how Britain was able to control vastly more numerous Indians). Although the avoidable death rate for Indians as a percentage of population dropped from a genocidal 2.4% pa in 1947 under the British to 0.4% pa today, annual avoidable deaths from deprivation presently total 4.5 million for India as compared to zero (0) for China, this making a huge Indian contribution to the ongoing Global Avoidable Mortality Holocaust in which 17 million people die avoidably from deprivation each year on Spaceship Earth with neoliberal One Percenters in charge of the flight deck. 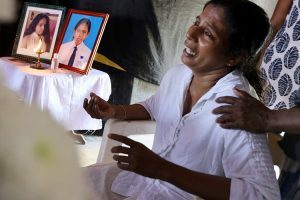 As Mahatma Gandhi stated: “Poverty is the worst form of violence” but this appalling passive mass murder continues today under the present neoliberal world order (see Gideon Polya, “Body Count. Global avoidable mortality since 1950” that includes a mortality-related history of every country from Neolithic times and is now available for free perusal on the web : http://globalbodycount.blogspot.com.au/ ) .